Asphalt Speed Racing 3D. Get in the car and burn some rubber on the street in this exciting racer! Take part in a tournament or do a single race and show your driving skills. Collect cash, upgrade and style your cars and become the new asphalt king! Asphalt Speed Racing is a new WebGL high-speed driving game. Drive your racing car on different tracks and participate in either single races or championships! Use Arrow keys or WASD to drive your car. Shift to use nitro. This game is one of the racing games at Round Games. 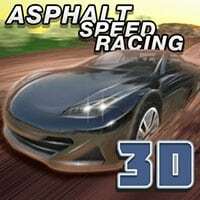 Asphalt Speed Racing 3D is a free online game on RoundGames.